← Are you building personal capital? 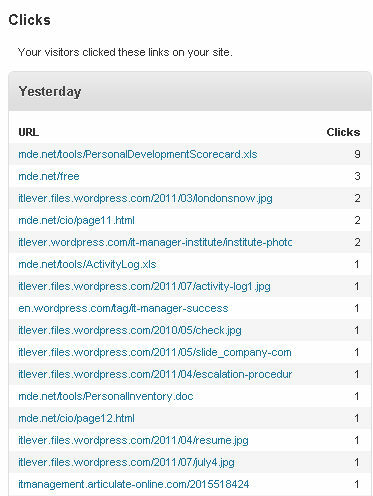 I really like WordPress tools for web sites. 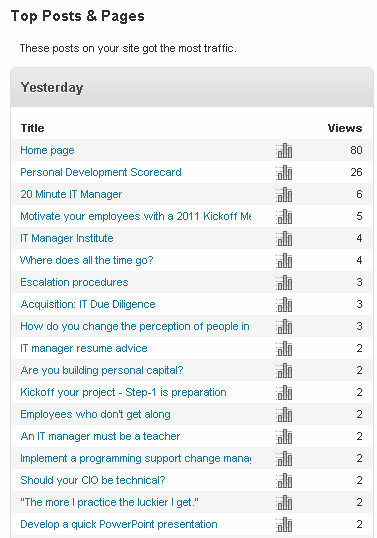 I like the statistics information WordPress keeps track of and shares with you with a click of the mouse. Here is a brief overview and examples of what you can see on a daily basis. 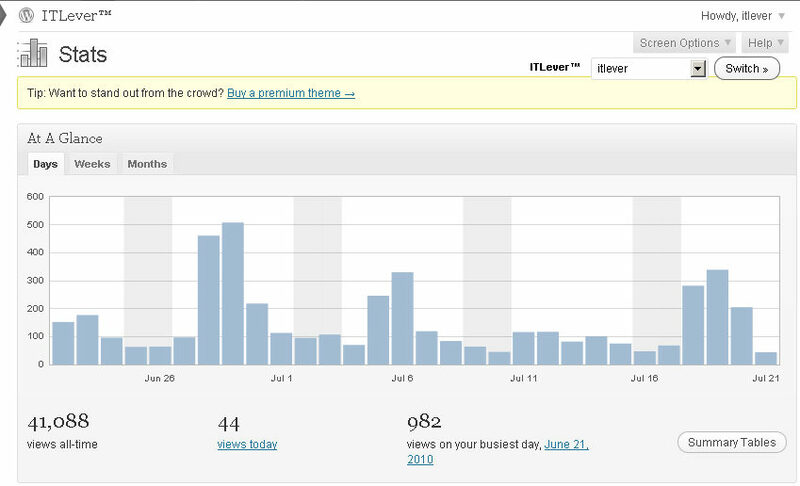 You get a daily total of page views for the last 30 days, , , you can look at the detail for any day just by clicking on the bar for that day. You can see this gantt chart in weeks and months as well. 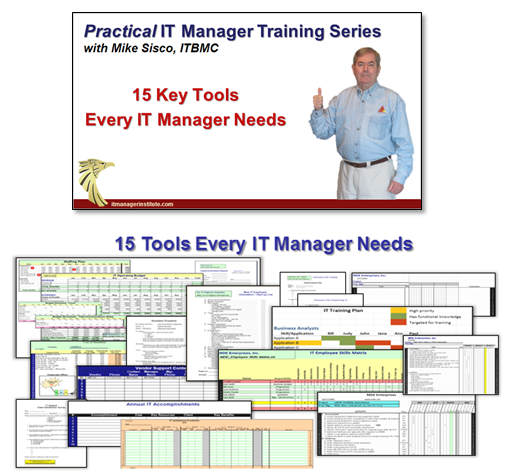 Pull up summary tables that shows total page views by month, average per day and recent weeks summaries. This gives you insight as to traffic volumes you are able to generate with awareness activities you create. 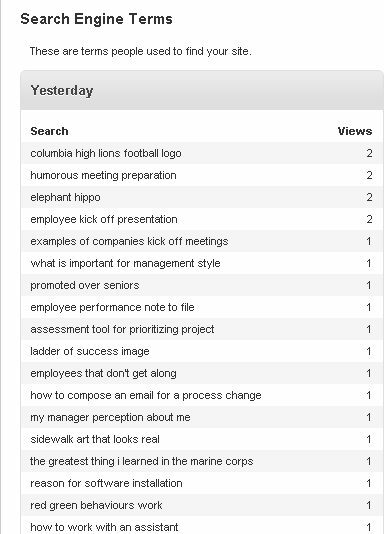 Shows you search engine terms used by people who came to your Blog from a search engine. This is one of my favorites and very helpful. It’s always nice to see what pages and posts people are looking at. This one is very helpful. 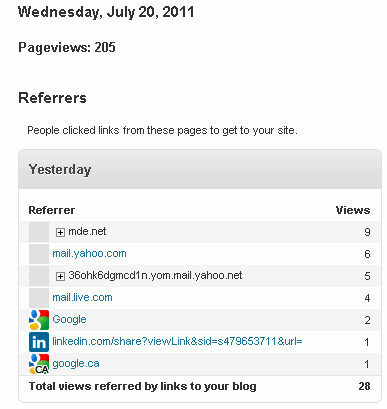 Another great tool is to know what links people are clicking on when they visit your Blog. Now, you know as much as I do. 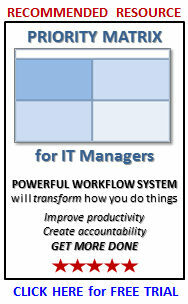 WordPress is powerful, , , like it a lot. If you are about to develop new web sites in your company, you might want to take a look at WordPress, , , it has made our work easier and more productive. 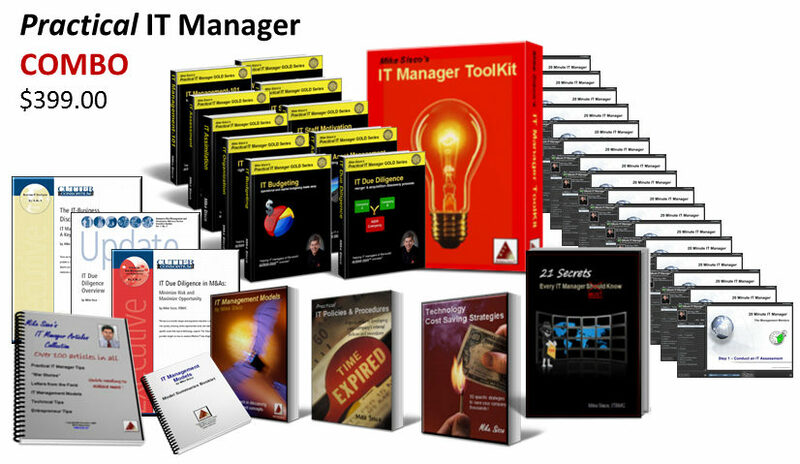 This entry was posted in IT Manager Tips and tagged it manager tools, web page development, wordpress statistics, wordpress stats. Bookmark the permalink.